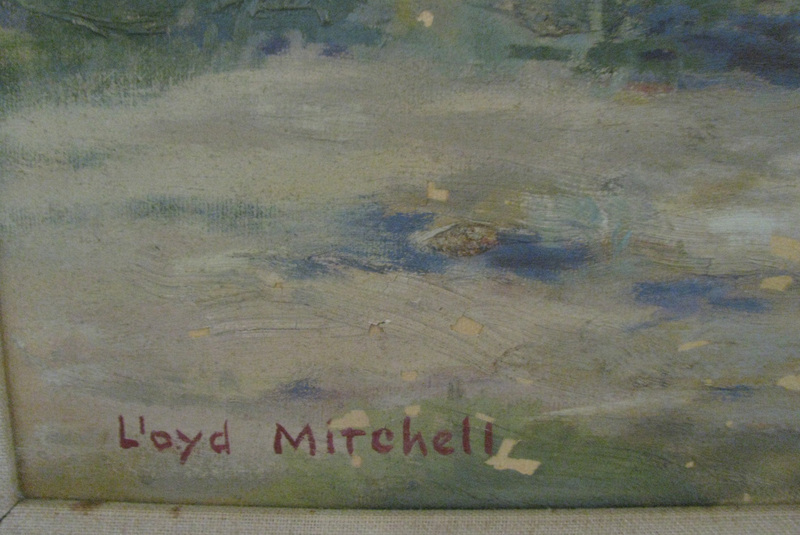 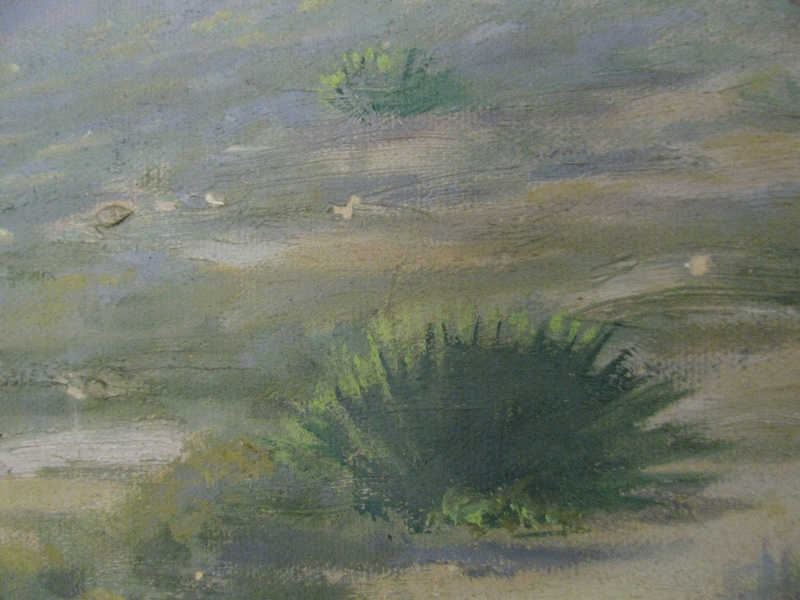 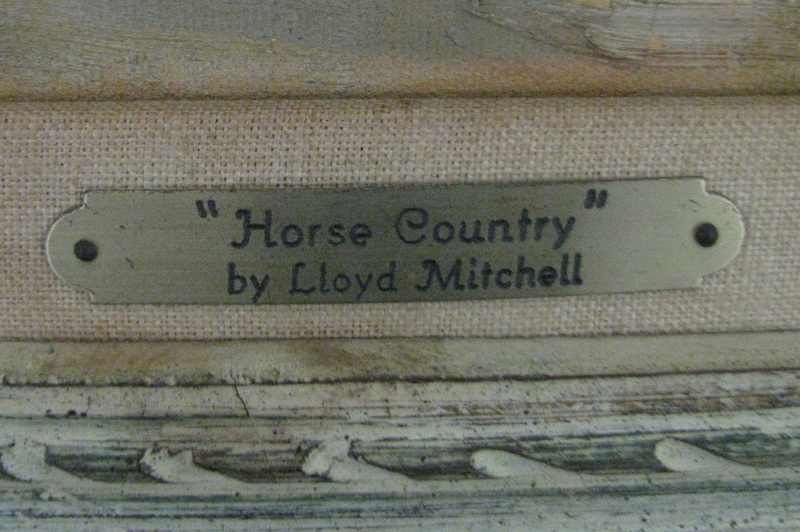 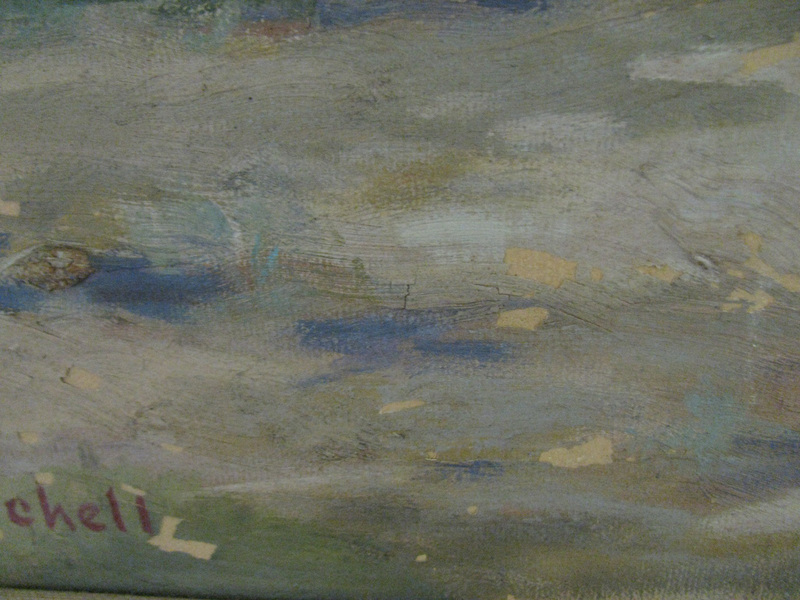 This is an oil on masonite 24 x 32 inches painting entitled "Horse Country" by the artist Lloyd Mitchell. 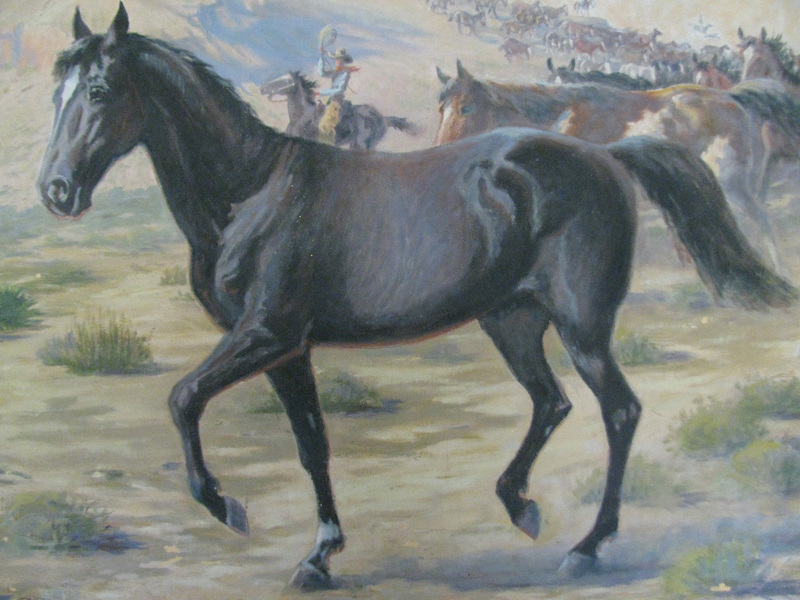 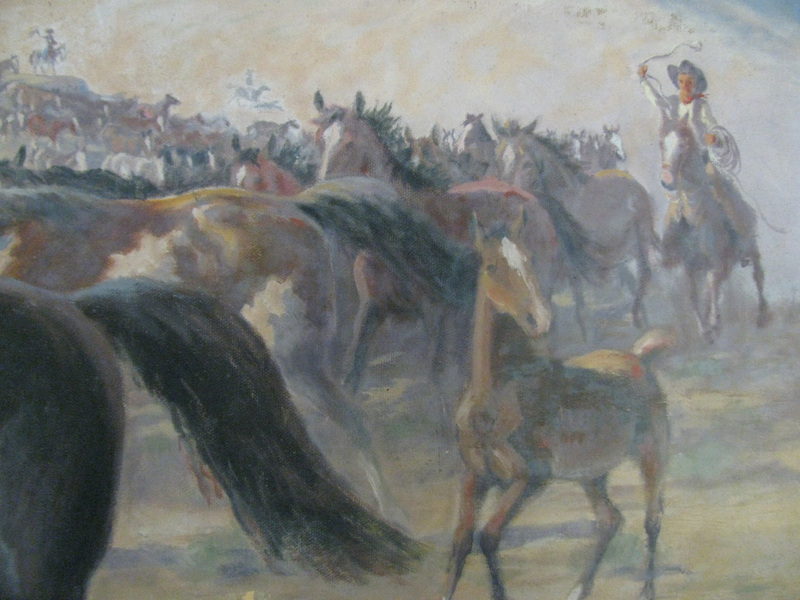 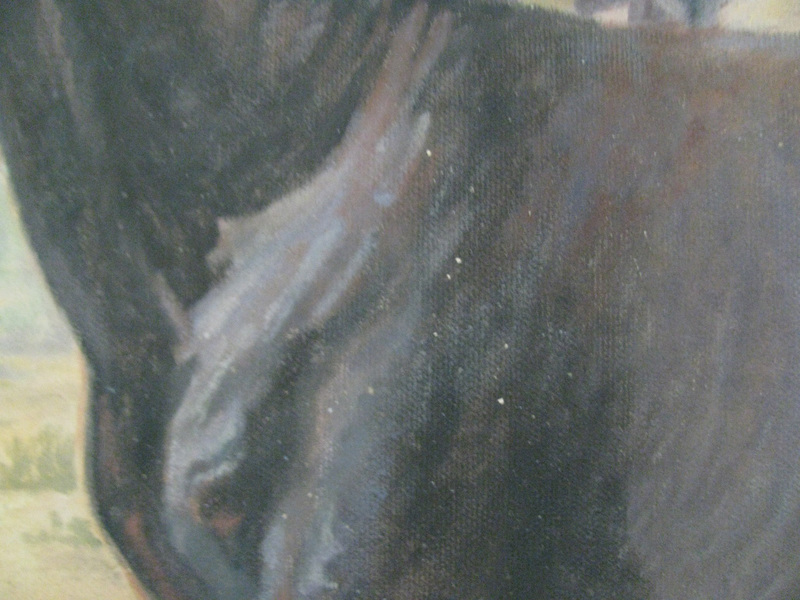 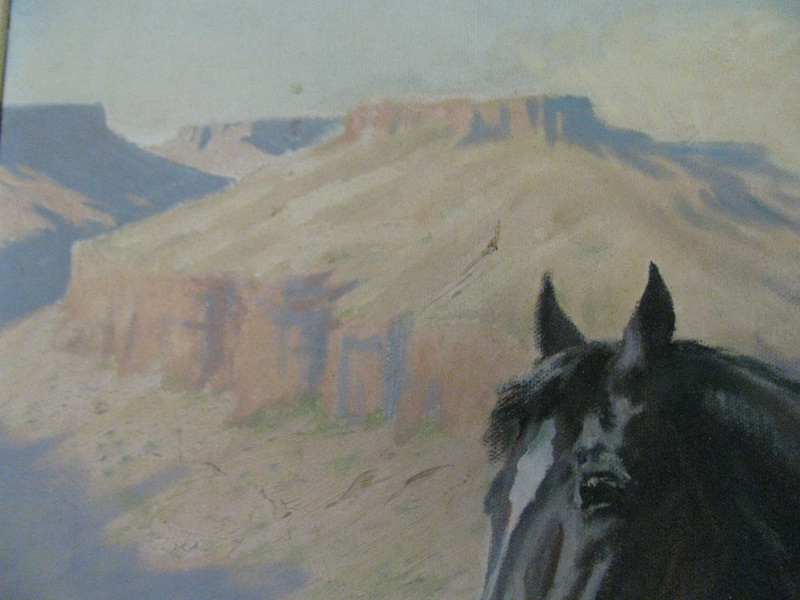 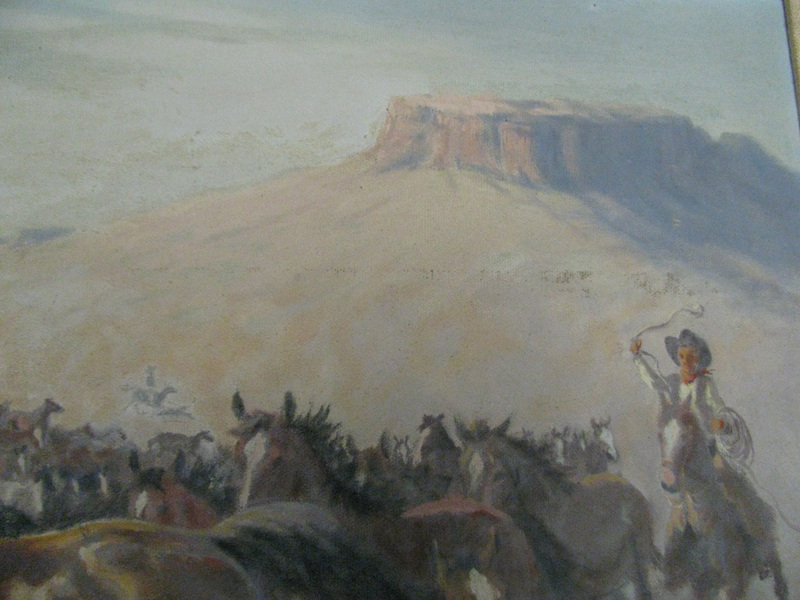 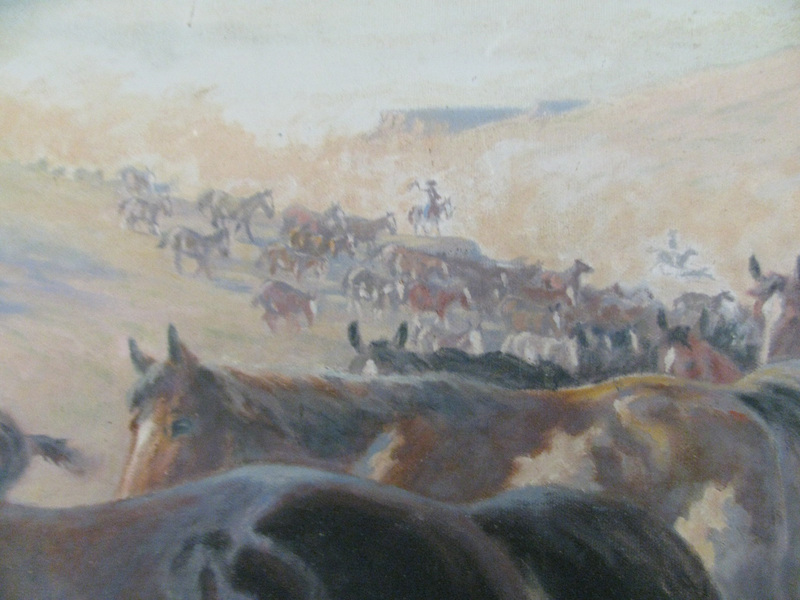 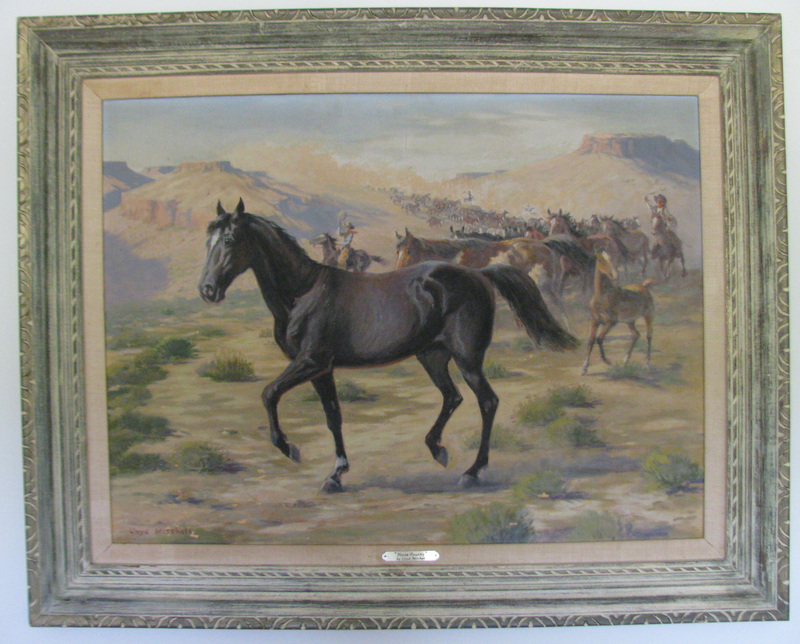 The painting depicts a handsome black stallion at the front of a large herd of horses being rounded up by cowboys. 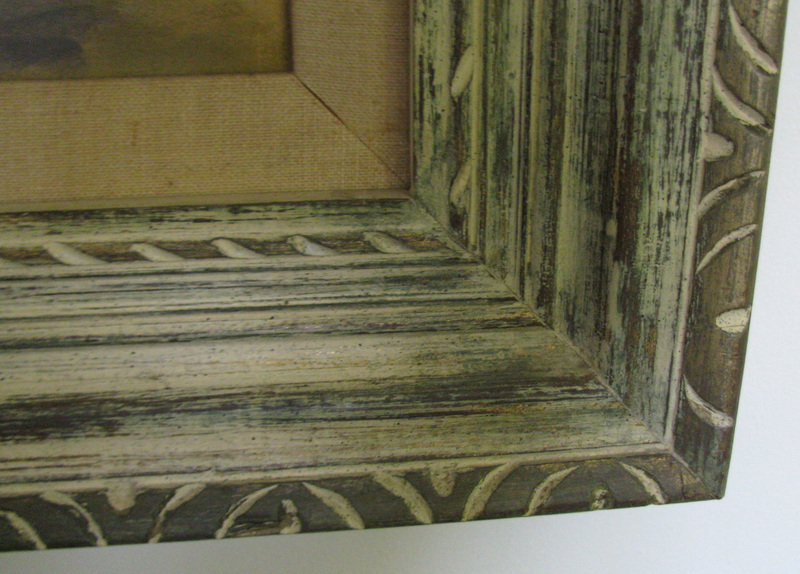 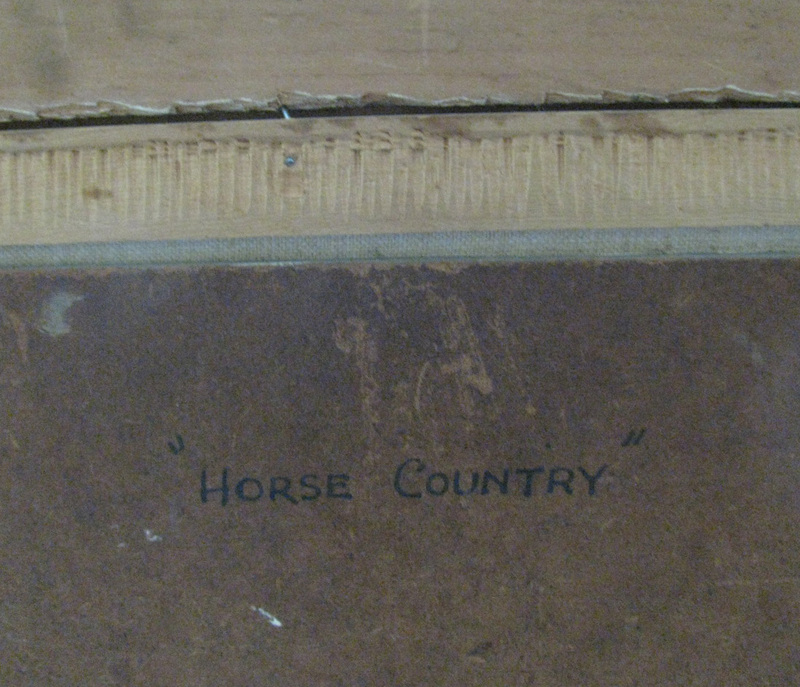 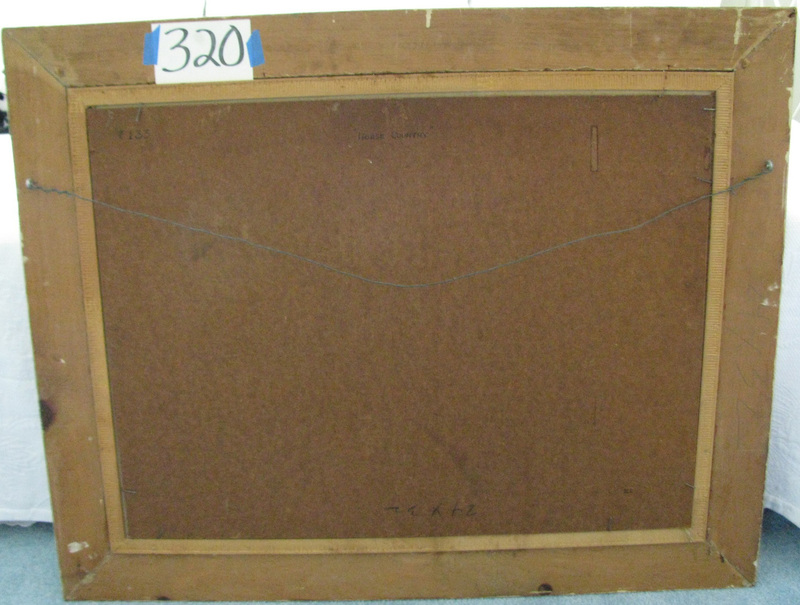 It appears to be in the original wooden frame. 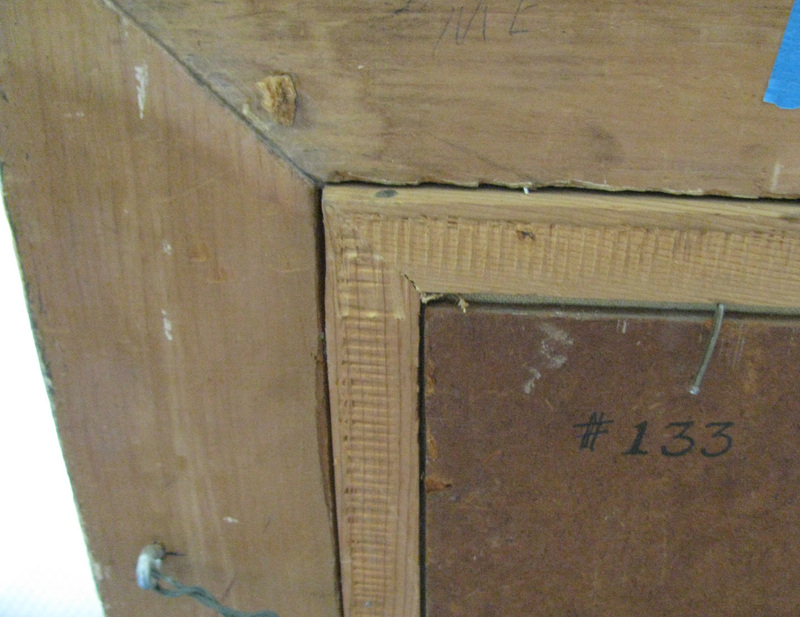 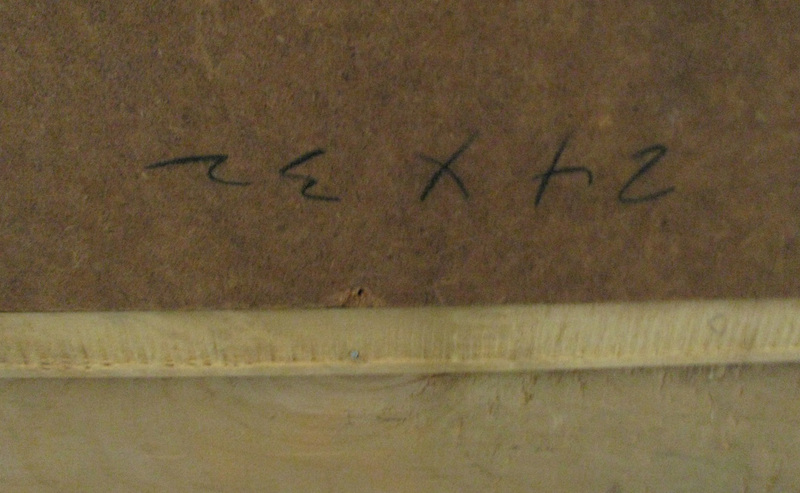 The markings on the backside indicate that this is #133. 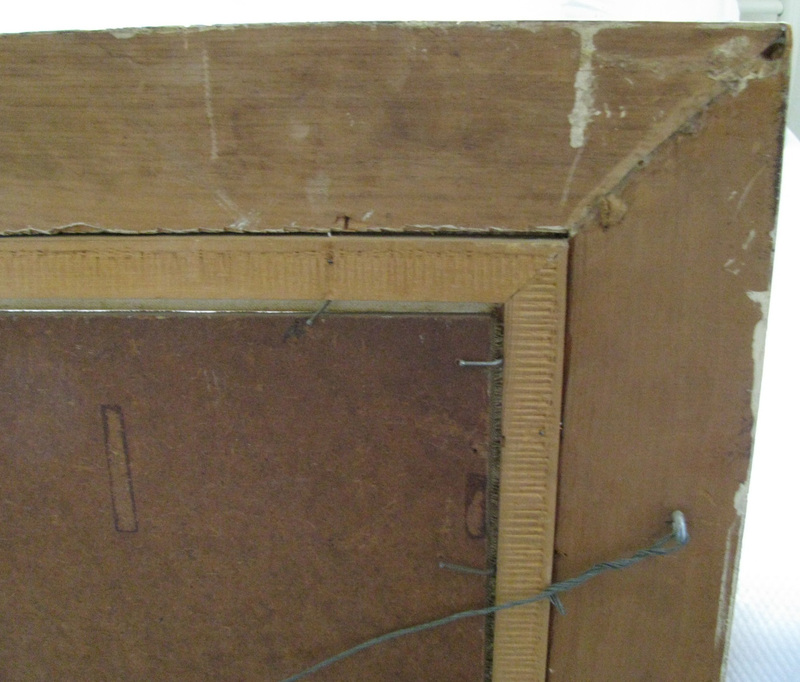 There are some areas of paint loss (please see photos below) but it is in good condition overall. 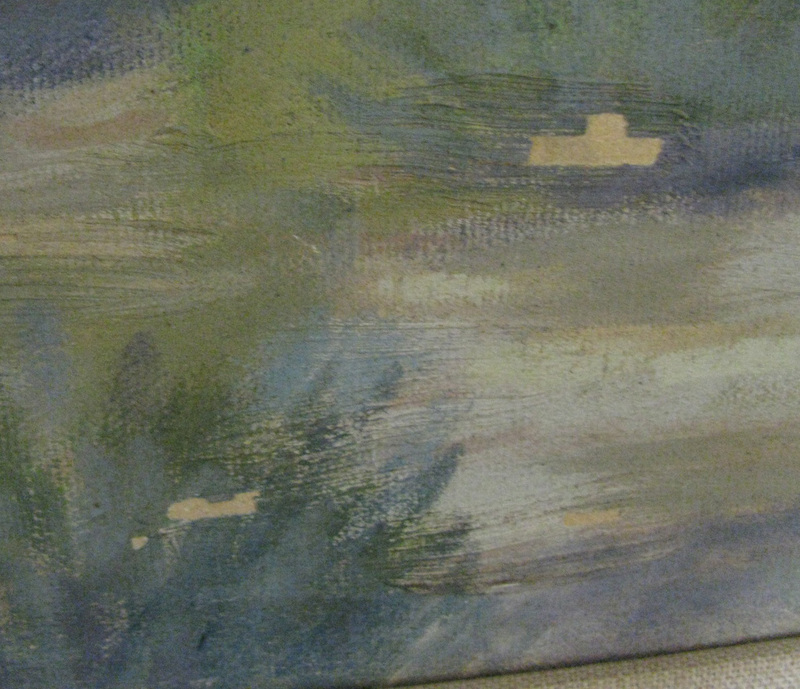 The photos below are untouched and were taken with no flash photography.